NEW YORK (Reuters) - The U.S. dollar pulled back from year-high levels on Thursday after U.S. President Donald Trump expressed concern about a strong currency, while disappointing earnings reports and escalating trade tensions weighed on stocks. A slide in metals prices, including copper falling to a year low, also rattled investors. Trump told CNBC television that he was unhappy about the Federal Reserve's decision to hike interest rates, saying he was concerned about their potential impact on the U.S. economy and American competitiveness. 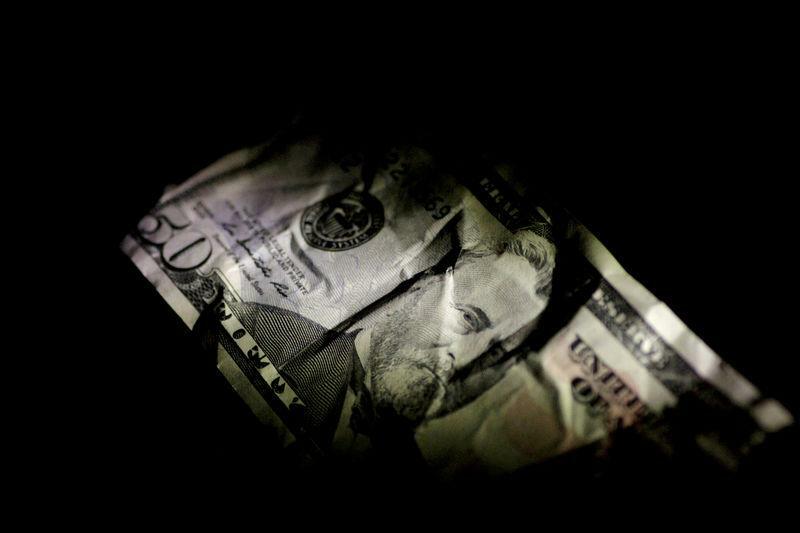 The dollar fell from a one-year peak against a basket of currencies to trade just slightly higher after Trump's comments, while the greenback also gave back some of its gains against the Chinese yuan, which had earlier dropped to a one-year low against the dollar. "We suspect the President's comments on U.S. interest rates and currency markets will almost likely put an end to the dollar rally," said Viraj Patel, FX strategist at ING in London. Asset prices earlier responded to escalating global trade tensions. China took issue with U.S. comments blaming China's president for blocking a trade deal, while the European Union may retaliate if the United States imposes tariffs on EU cars. “In general, there is a slight uneasiness to the market today in the midst of what has been a constructive rally now for most of the year,” said Rick Meckler, partner at Cherry Lane Investments in New Vernon, New Jersey. On Wall Street, the Dow Jones Industrial Average fell 134.79 points, or 0.53 percent, to 25,064.5, the S&P 500 lost 11.13 points, or 0.40 percent, to 2,804.49 and the Nasdaq Composite dropped 29.15 points, or 0.37 percent, to 7,825.30. In another heavy day of corporate results, declines in eBay and Travelers weighed on indexes following their reports. MSCI's gauge of stocks across the globe shed 0.34 percent. The pan-European FTSEurofirst 300 index lost 0.20 percent, as shares of France's Publicis tumbled after its report. Markets also digested data showing the number of Americans filing for unemployment benefits unexpectedly fell last week, hitting its lowest in more than 48-1/2 years, as the labor market continued to strengthen. The dollar index rose 0.13 percent to 95.208, after rising as high as 95.652, with the euro down 0.01 percent to $1.1637. The U.S. yield curve flattened, close to levels not seen in 11 years, as upbeat data on the jobs market and business activity reinforced the view of further interest rate increases from the Fed. Benchmark 10-year notes last rose 9/32 in price to yield 2.8417 percent, from 2.875 percent late on Wednesday. Copper prices plunged to one-year lows as fund selling accelerated due to worries about demand from the trade tussle between the United States and top consumer China. Copper lost 1.55 percent to $6,054.50 a tonne. Other metals such as zinc also fell. Global benchmark Brent crude dipped as concerns about mounting supply returned after a brief rally earlier in the session on comments that Saudi Arabia's exports would fall in August. U.S. crude settled up 1 percent at $69.46 per barrel and Brent settled at $72.58, down 0.44 percent.